The full name of Jonathan Trott is Ian Jonathan Leonard Trott who was born in the year 1981 April 22 at Cape Town, Cape Province, South Africa. 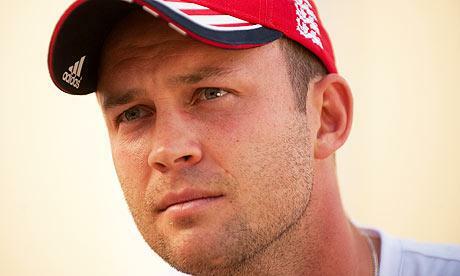 Jonathan Trott is a right handed bats man who bats at the middle order. Trott is an amazing player in formats, test and one day of the game. Trott made his test debut in the year 2009 August 20 and ODI debut in the year 2009 August 2007. Trott has scored six centuries in Test cricket and three centuries in ODI cricket. With his brilliant performance in the year 2011, Trott was awarded ICC cricketer of the year 2011. His highest score in test cricket is 226 runs and highest runs in ODI cricket is 137 runs. With his short period in cricket he showed some brilliant performance for England team. Trott was awarded 2 man of the match awards in test cricket, 1 man of the match award in ODI cricket and 1 man of the series award in Test cricket. More details of his profile and career performance in International cricket is given below. Wally Hammond was a former English cricketer who played superior cricket throughout his career. Here we are giving the profile, career and test & first-class record of this player. This legendary cricketer died in 1965 at an age of 62. Read this article to know more about him.